Android is rocking the Mobile or Smartphone Operating System Industry with its new features and stability. Android's market share is much larger than any other mobile operating system that other mobile OS are far beyond it when it comes to number of users. 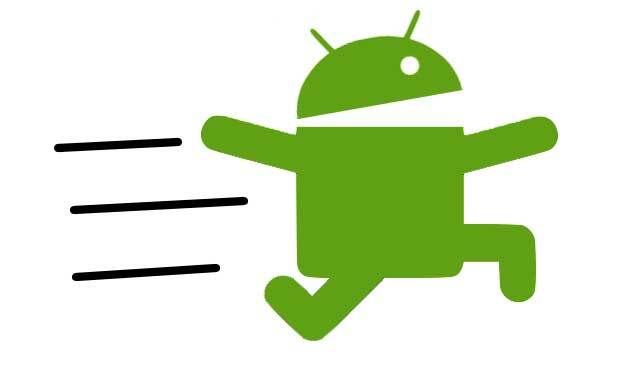 Though, Android is pretty good operating system with good features and stability but sometimes you may feel that your Android powered mobile become a bit slower. Here are some tips and tweaks that you can perform on your Android Mobile Phone without using any external software or applications. And please note that we are also not going to do any illegal tricks or any hacks such as rooting your mobile etc, so use these tips without worrying about any security or privacy issue. By following these tips you can also get rid of sudden automatic restarts and hanging up of Smartphone. Go to Settings->Privacy Settings and select Factory Data Reset. Choose Yes or Accept according to options. Keep Updated To Latest Version: Keep your mobile phone updated to latest version of Android. The latest versions contains latest features, removed bugs and comes with fast performance. Keep checking your phone for latest available version. But it does not means that you should try some other ways like rooting your mobile phone and then uploading custom ROM for the sake of latest version of Android. The best practice is to update your phone to official ROM and if you have to choose some unofficial ROM then choose it wisely. The most used and popular unofficial Android ROM is Cyanogenmod which is also known as CM. Use Minimum Home Screens and Widgets: This tip is mostly neglected by users but it really works. The more number of home screens and widgets you have on your mobile phone, the more slower it will be. So, try to use only one home screen with only very required home screen icons and widgets enabled. In most Android Phones, you can manage home screens by swiping two fingers simultaneously on home screen. Uninstall Heavy Apps: Uninstall any heavy applications or games on your Android phone. Examples of such applications are Antivirus programs, Battery saving apps or any other apps that keep running in background. Uninstall these apps or games and install only those applications which are very necessary. You can also utilize a good feature which comes in latest versions of Android such as 4.1 Jelly Bean, of limiting background processes. To do this, go to settings and find 'Limit Background Process To' and then select maximum number of applications allowed to run in background. Clear Cache and Memory : Clear your mobile browser's cache and clean memory and RAM. Use official apps like task manager to clean RAM and Cache. Don't waste your mobile's resources on installing other third party applications to clear memory and cache.